The senior captain arrived at his new permanent change of station, Fort Knox, Kentucky. Over a month earlier he had signed out of the 39th Infantry Regiment, 9th Infantry Division in Fürth, Germany where he had been serving as the Assistant Regimental S-2 (intelligence officer). He had taken permanent change of station leave for a little over a month at his parent’s home in Wilson, Connecticut. The captain was an experienced soldier of 15 years of service, eight and a half years in the active army and another 7 and a half years of state service with the Connecticut National Guard’s 169th Infantry Regiment, a formation brought from State of Connecticut to active Army of the United States service twice–from February 1941-November 1945 and again from October 1950-June 1954. He had served through the enlisted ranks from basic private in 1939 to infantry company first sergeant while deployed in the South Pacific Theater. He had then been commissioned as an infantry second lieutenant directly while in combat operations on Luzon, Philippine Islands in May of 1945. 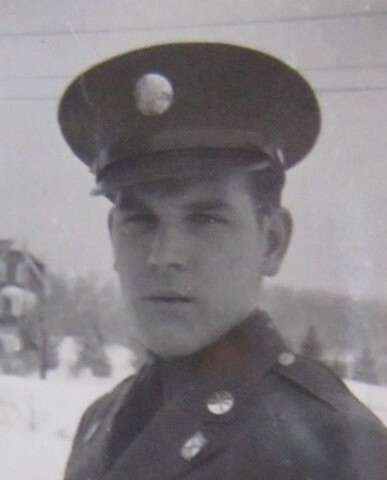 While in Connecticut State service from 1946-1950 he had commanded Company F and Headquarters and Headquarters Company, 2nd Battalion, 169th Infantry Regiment and served as the battalion’s S-1 (Adjutant and Personnel Officer) and S-4 (Supply and Logistics Officer). The regiment as noted had been brought back into active federal service for a second time in October 1950 for the Korean conflict. Since mobilization in 1950, the captain had again commanded Company F and the 2nd Battalion’s headquarters company. Both company commands were while deployed as part of 7th U.S. Army’s 43rd Infantry Division stationed in southern West Germany. During the regiment’s second period of active service the captain had also served twice as the battalion S-4 and after completing the Tactical Intelligence Officer’s Course at The Army Ground School at Fort Riley, Kansas had served as the battalion’s S-2. 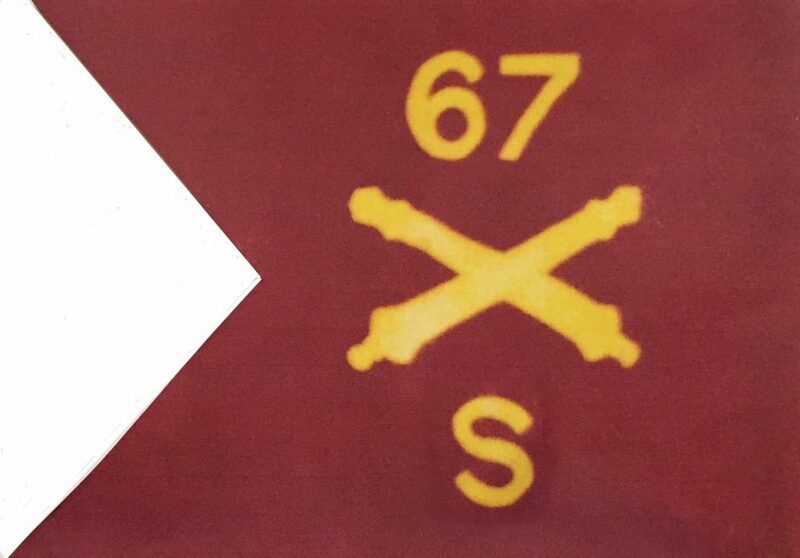 On the Regiment’s return to state service in June 1954 the captain had opted to remain in the active army and had been assigned to the 39th Infantry Regiment’s Regimental S-2 Section as the assistant regimental S-2. When the captain reported for duty on arrival at Fort Knox he was a seasoned combat veteran senior company grade officer who, during his commissioned service had commanded a rifle platoon in combat, two rifle companies, two battalion headquarters companies and served as a battalion staff officer and regimental staff officer multiple times in the personnel, intelligence and supply sections. This commissioned experience was augmented by over 5 ½ years of enlisted service during which the captain had served as a rifle company articifer, supply sergeant, rifle squad leader, rifle platoon sergeant, acting rifle platoon leader and rifle company first sergeant, the last three of these years in a combat theater. The captain knew his business. At the time, in addition to being the Armor Training Center and School, Ft. Knox hosted the 3rd Armored Division. The division during this period had an individual basic and advanced soldier training mission, preparing replacements, many drafted soldiers, for forward deployed units and other troop units in the Continental United States. The captain, though only months away from promotion to Army of the United States major, would find himself embarked on his fifth company command shortly after processing though the personnel section at the Armor Center. The captain gracefully accepted this additional command opportunity. As a well seasoned commander, he knew he could make a contribution and rolled up his sleeves to do so. The training unit schedule was demanding and absorbing, especially to assure safe operation of the live fire components of the program—the latter had risks. Interestingly as an infantry officer his new command’s designation was battery, not company. 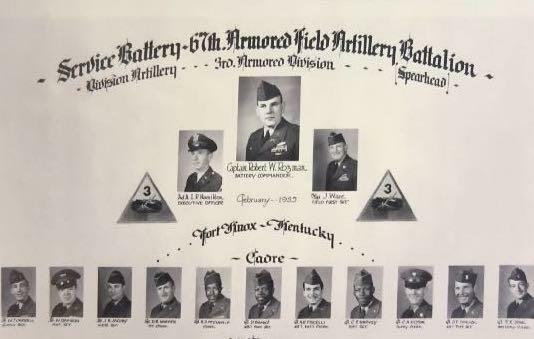 The captain would be commanding Service Battery, 67th Armored Field Artillery Battalion, a unit of the Division Artillery, 3rd Armored Division. His battery’s guidon would be red not the dark blue guidon of an infantry company. Over the following months the training program totally engaged the captain. The Army was transitioning from the Korea oriented program to one more Europe focused—and the Army was also reducing its strength as Korean operations abated. As well, the large size of the battery with its training cycle intake of trainees and its relatively small cadre of officers and non-commissioned officers meant that any cadre member found wanting needed immediate identification and correction. In this latter case two situations would develop with the live fire training that would test the captain’s considerable abilities. In both cases those abilities would deal effectively with the developments. The captain led the battery to a high performance level that gained command recognition. On promotion to major, the new major assumed duties as a training regiment S-4. 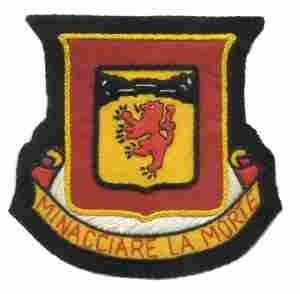 Some months later as the regiment deactivated, the major as the S-4 closed out the regiment. He was then reassigned as the Assistant S-2 of the Armor Center. The take away from a leadership standpoint that I find most salient in this vignette is that when a leader is again asked to take on, in this case, a high risk assignment that has already been performed previously and excelled at, the leader nevertheless accepts the duty professionally and again leads by example and excels. The principle applied being clearly that the good leader does not rest on past laurels, accepts even a less than desired assignment and provides the necessary leadership and leader team engagement to create success. The above said, it is in my experience a very rare development for any officer to have more than one company command in an army career. Company command is in high demand by officers aspiring to long term service as commissioned officers and the command opportunities tend to be limited with officers selected for command typically being carefully vetted by the associated superior command. Two company commands, especially line combat unit commands, is a rarity and more than two is pretty much unheard of. Usually only one company command will be the case and some officers do not command at all beyond platoon. I have known a single officer with three company level commands. But five company commands—this is the only case I am familiar with. As anyone who has commanded at company level knows, the career risks are great—even the best of leaders have met failure due to unfortunate combinations of circumstances, some beyond one’s control. There is again risk in taking on a company command—after all, 150 or more human moving parts can produce a very wide range of outcomes, some very good and some not so much. In this case, an officer accomplished what may have been approaching the impossible, by dint of leadership ability and capacity. Five highly successful company commands spaced over a nine year period were achieved. Five successes is not an accident of fate, it is a true barometer of skill and ability. This case is a definite study in sustained leadership effectiveness. The captain’s leadership qualities, in the event, were noted by the Army. They were such that he was retained in the active Army as a commissioned officer through three large following post Korean War Active Army reductions in force. The captain retired as a lieutenant colonel in December 1965 from his last duty assignment as commander of the 112th Service Center Headquarters, a U. S. Army Europe unit, and Pulaski Barracks, the two commands being located in Vogelweh, West Germany, a small garrison town on the western outskirts of the city of Kaiserslautern. 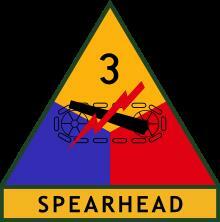 Postscript—the 3rd Armored Division was a distinguished combat formation of World War II. It would be reassigned to U. S. Army Europe’s 7th Army as a Modified Table of Organization and Equipment formation, a combat asset to NATO, in 1955 where it would serve into the 1990s completing its illustrious combat record with operations against the Iraqi Army in the First Iraq War. The division would be removed from the active army troop lists in 1992.